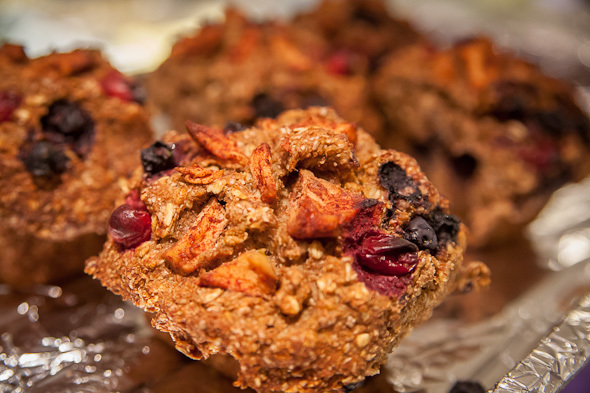 Naturally Yours would probably do exceptionally well in Kensington or on the Danforth . 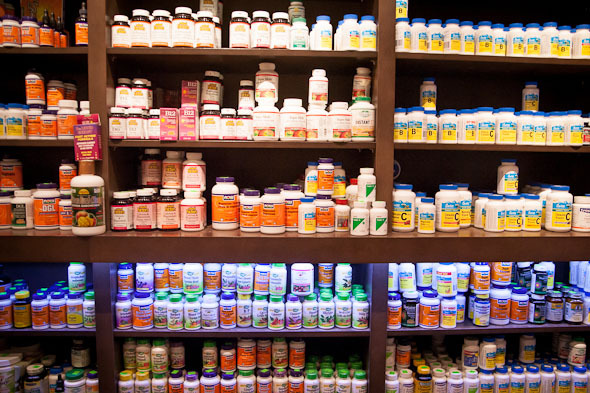 Of course, those areas already have health food stores catering to their needs, so another shop would simply add to the abundance. Toronto's downtown core, however, has anything but an abundance of green grocers, especially at the heart of the bustle in the Financial District . That's where Naturally Yours comes in. 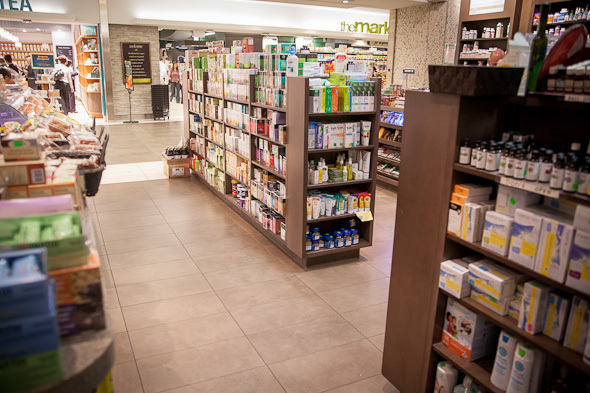 Located on the lower level of First Canadian Place, Naturally Yours is a supplements shop, a grocery store, and a place to pick up a quick, healthy lunch. It has many of the eco-friendly items you'd find, say, at the Big Carrot or at Essence of Life , but it's just an elevator ride down for the 8,000 people who work in the building, and a stop along the way for the 80,000 more who pass through its doors. 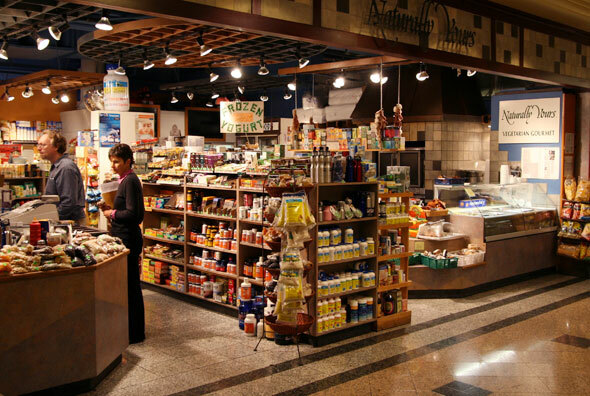 Naturally Yours is a long time fixture in the First Canadian Place "Market Place" (read: the corridor that's also home to Prairie Girl Bakery , Longo's, Akco and others). Though the building as a whole, including the Market Place, has undergone a thorough renovation, Naturally Yours has been around pretty much as is for decades. I stop by the shop and meet the owner, Tom, who is a bit shy to chat but obviously proud of his store. He tells me he got into the business simply because he needed something to do after university, and has watched over the operation of this shop and a Naturally Yours on Kingston Road ever since. And for a fairly small shop here at First Canadian Place, Naturally Yours is stacked with products. 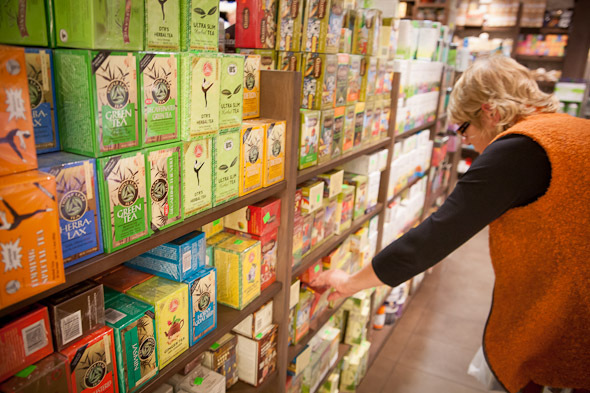 Most prominent is its collection of herbs and supplements, but also available are eco-friendly shampoos, natural feminine hygiene products, healthy bagged snacks â the types of things most people would pick up at the giant Rexall down the hall, but with an eco-friendly twist. Around lunchtime, however, the hot table draws all of the attention. 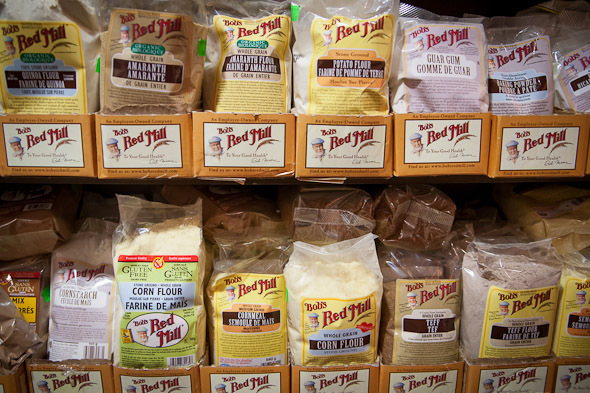 "We have a kitchen off site where we make all of our lunch items," Tom says, adding that the store has become increasingly focused on gluten-free. Naturally Yours rotates a menu of lunch and daily soup offerings that include yam burritos (which Tom points out is a clear Naturally Yours lunch frontrunner), mac and cheese, zucchini lasagna and more, all of which typically ring in around $7.00. The shop's spelt scones are a big hit during the breakfast rush, with fresh salads such as chickpea and seaweed ($1.99/100g) available all day long. Best of all, the ingredients for each dish is posted alongside, with information or quirky facts added about certain ingredients. 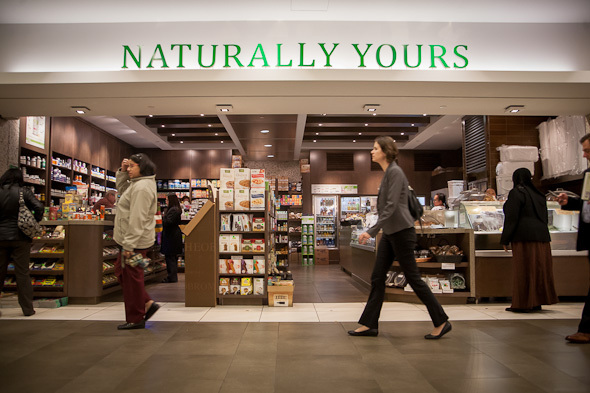 And while Naturally Yours has long been the dominant First Canadian Place presence in terms of healthy, vegetarian, and gluten-free, it is poised to get some company. 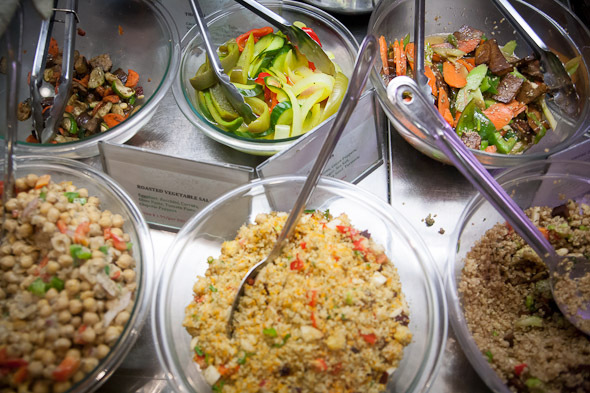 A shop called Kupfert & Kim is moving in across the hall, offering Financial District workers another option for meatless and wheat-free. And Tom, clearly, is not happy. "I'm very concerned," he says when I ask him about the new shop. "It was my idea, and I feel like I've been ripped off."